Don't you love receiving post from abroad? Well from anywhere really, but it is always more interesting if it comes from far away places. Yesterday the postman produced from his bag a box, the box filled half his bag! I really wondered what it was and felt rather sorry that he had to carry this on his round. Anyway the box contained some wood from Canada which Fox had kindly sent. The wood is silver maple, as you can see it is cracked which is normal as it had been drying out and makes no difference to the quality or quantity. Fox saw a tree being cut last year and asked for a piece and kept it, although originally it was much bigger. When she moved she took a smaller piece off it to take with her. But look who the box was addressed to, this caused much amusement in our house. 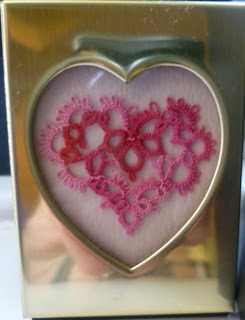 Then today the postman put through the letter box this little heart that I won from Val. Now I met Val whilst in Singapore last June and we had an amazing shopping trip. This dear little heart goes so well with a bag that I was given by my son's Aikido friends the last day we were in Singapore, the heart is resting on it in the picture, a perfect colour match. And talking of Singapore my son who lives there purchased these beads and gave them to his brother who was fortunate to be visiting him over Christmas. I am going to have to share some of these beauties! 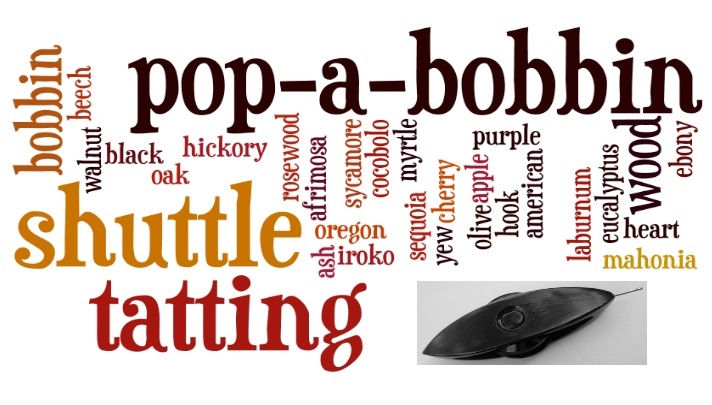 There are some pop-a-bobbin shuttles being made in the garage at the moment. But this time there will be some that are unvarnished, just oiled. This may be a bit of a problem for Jane when listing them though, opps sorry big sister! I will take a photograph of the difference between them in the next blog post. I am now awaiting the arrival of the HDT which I ordered from Jess, what a week. 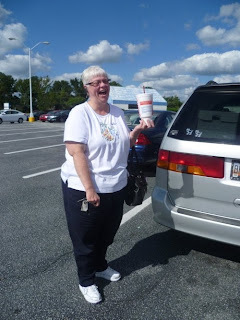 I purchased some lovely HDT whilst in the USA plus I was also gifted some, thank you Sue Anna. It is just the matter of finding enough time to use them and to make sure that when I do it is for a well tried and tested pattern as there is nothing worse than chopping up beautiful thread!! Jess's thread was so tempting and I do like the way that she puts strong bold colours together. 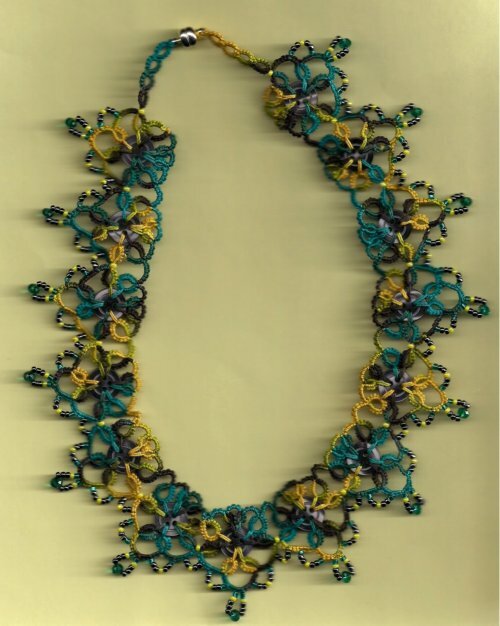 Here is a necklace made from one of her skeins called Havana. This week she is offering free shipping to all international buyers, so if you don't live in America take advantage of such a great offer. I wonder what I will find on my travels this year?! 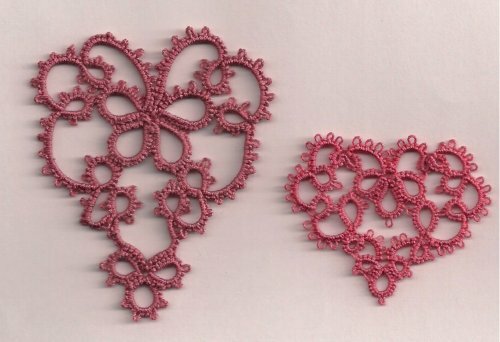 It seems as though everyone on the tatting blogs is marking the day this year in some form or another, and there are some really beautiful tatted hearts. I would have loved to show you the heart that I started at Tat Days in Martha Ess's class but sadly it is not completed. One of the main reasons is that I had a dreadful start to the piece and the memory of that puts me off, but it will be finished within the year. I was attempting to make a heart to fit into a frame but had to resort to 80 thread in the end. The photograph was difficult to take as the frame was so shinny! 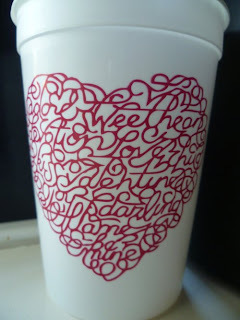 Here is a cup that Karen gave me whilst in the USA, if you read it you can see lots of words of endearment written on it including Valentine. And a picture of Karen with another cup! Jane and I were so well looked after in September, thank you to all who gave us lifts to and from events and of course the hospitality shown by Sandra and Joanie. The beginning meaning that today is the start of the Chinese Lunar New Year and so I hope everyone I know in the far East has enjoyed today. 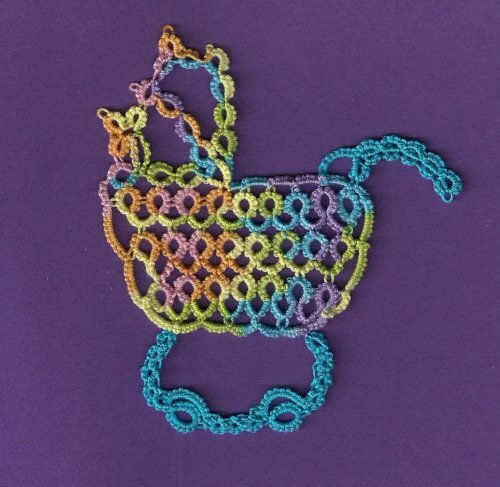 The end is Jane's TIAS as today is the final part of the pram, and a big thank you to her for all the work in organising such fun tatting. It is very true that there was no cheating this morning, when I was first first in her box. Jane did not send the link before it went live on her blog, I just had to wait there and as soon as it popped up picked up my shuttles. This is the second pram which I completed this afternoon. 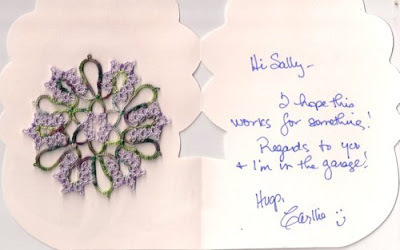 I have been making these brooches because they are relatively quick and easy to tat and look so effective. The pattern is Jane's and can be found here. They are also a really nice size and look just as good on coats as well as jumpers and dresses etc. Thank you for all the helpful comments with regard to 'hooks with hats' , will have to discuss with 'Im in the garage' and let you know what he is prepared to do, have to keep him very sweet especially now the garage is so cold! In a previous blog post I showed you some mistletoe hanging in the church office and there was a cartoon underneath it. I couldn't find that particular cartoon on this computer, but I did find this one which is even better because it is so true. People have the habit of just dumping things on and around my desk, lost property, broken items as well as paperwork. The best one is the chair 'for those who like to stop and chat during busy periods', there is such a chair and it is exactly what happens! And also the computer is 9 years old! I'm getting well behind with Jan's TIAS so must catch up either later on today or tomorrow!